Funeral ceremonies will be conducted on Monday for the majority of the 92 people who died in the Tu-154 plane crash near Sochi. The plane was carrying members of the famous Alexandrov Ensemble, journalists, and a prominent charity worker to Syria. As of last Friday, forensic experts have identified the remains of more than 70 victims of the crash, which happened on December 25 over the Black Sea minutes after takeoff. The majority of the bodies are to be laid to rest at a state cemetery in Mytishchi, Moscow Region. 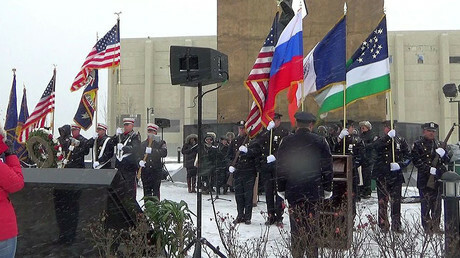 The crew of the plane and members of the ensemble were active military service members and will be given state funerals, as they lost their lives in the line of duty. At Ostankino TV center in Moscow, Russian journalists paid their respects to nine of their colleagues who died in the crash. Crews of Channel One, NTV, and Zvezda were on an assignment to cover the Syrian tour of the Alexandrov Ensemble. “What happened was a terrible tragedy. Our colleagues, guys from NTV and Zvezda, Dr. Liza, members of the Alexandrov choir and crew have died. What can I say? Forgive us, forgive us for letting you into this,” Konstantin Ernst, general manager of Channel 1, said. Elizaveta Glinka, a prominent Russian charity worker also known as Dr. Liza, who was travelling to Syria to distribute humanitarian aid, will be buried at the civilian Novodevichy Cemetery in Moscow, where many Russian public figures have been buried for over a century. Her fund Fair Help says it may appoint a new head in the coming two months. “We will remember her as a saint woman, a kindest soul, who was ready to help absolutely any person, regardless of his skin color, nationality or faith. We are all saying ‘farewell’ to her today,” Evgeny Serykh, head of the emergency ministry’s airborne rescue squad. Crowds of people have been bringing flowers both to Ostankino and Novodevichy Cemetery throughout the day. 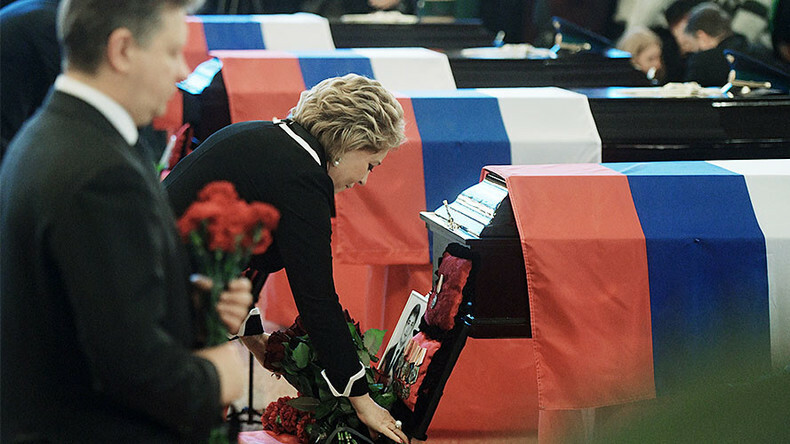 Some of the victims will be buried in other parts of Russia. Those include the head of the choir, Valery Khalilov, who wanted his remains to be laid to rest at an old village graveyard in Vladimir Region near the grave of his grandmother. The cause of the plane crash is yet to be made public, with preliminary results expected later in January.